They are salvaging what is left of its rich heritage, clearing rubble and distributing aid in a city crying out for help after the war against Islamic State. 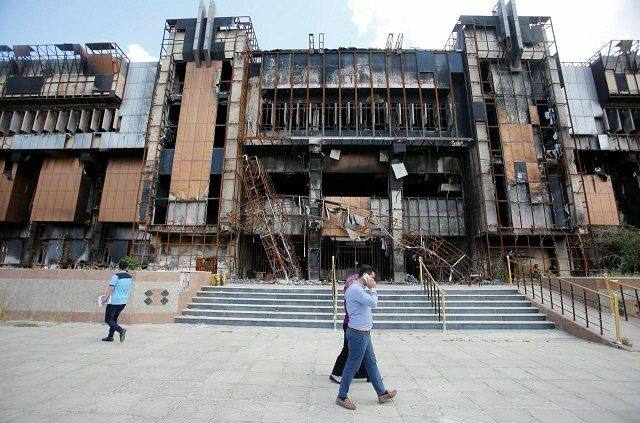 The project began when Raghad Hammadi and a group of students decided to launch a campaign to help rebuild the Central Library of Mosul University, burnt and bombed in the war. Its vast contents had been all but lost. “An entire city with a glorious past and ancient history lost its heritage and culture: the tomb of the Prophet Jonah, the minaret of Al-Hadba which is older than Iraq itself. It is great that we were able to save a part of this heritage,” said Hammadi, 25, a nursing student. Both the leaning minaret of Al-Hadba , part of the 12th century Grand al-Nuri Mosque, where in 2014 Islamic State’s Abu Bakr al Baghdadi declared a caliphate, and the ancient tomb of what is believed to be the Prophet Jonah were destroyed in the military campaign to retake the city.Hammadi says among the books salvaged were some handwritten by Mosul scholars. They included editions written in Moslawi, the distinct dialect of the region once known as a center for scholarly Islam and the pride of many for its ancient mosques, churches and Old City architecture. Elsewhere, volunteers cleared rubble and garbage, opened roads, drilled water wells and distributed aid. After living under Islamic State’s strict rule and then the war to retake the city, young women feel as though they have been liberated.